Louisiana Nursery has partnered with Chimp Haven in order to help expand their fruit orchard. Select your choices from below or call Louisiana Nursery @ 318-925 0971 for more information. Sales taxes are included. It's quick, easy and completely tax deductable! 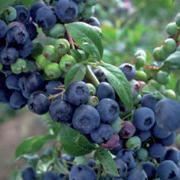 This Rabbit-Eye blueberry has medium to large fruit with sweet flavor. Ripens early June. 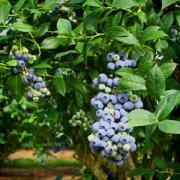 This Rabbit-Eye Blueberry has a sweet rich flavor that ripens early-mid June. 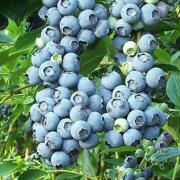 This Rabbit-Eye Blueberry has excellent flavor and is very productive. Ripens mid-late June. 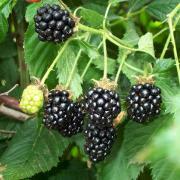 This newest variety of blackberry has excellent sweet quality fruit borne early on a thornless upright bushy vine. Introduced in 2009 by University of Arkansas. This fruit is very large with medium-red, sweet flavor. 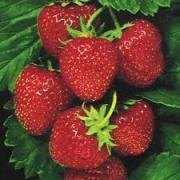 It is the most widely grown strawberry. 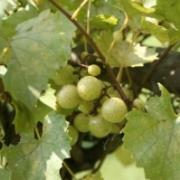 This everbearing vine has good vigor with firm excellent flavor. Ripens July-Sept. Only raspberry recommended for the south. Large bronze fruit containing 16% sugar. Ripens early-mid season. Very productive and is excellent for making wine. Self-fertile. Large black fruit containing 17% sugar. Excellent flavor. Ripens early season. Self-fertile. 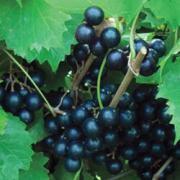 Large seedless, blue-black fruit with wonderful sweet fruitiness. Excellent for table, wine, and juice. Very vigorous. Ripens in August. 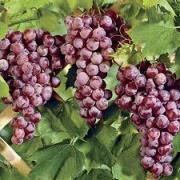 Pinkish red medium size, seedless table grape. Great for eating fresh and juicing. 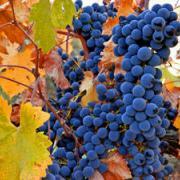 One of the best tasting grape varieties. Ripens in September.